Cisco Systems delivered quarterly earnings and revenue that surpassed analysts' expectations on Wednesday and posted a smaller-than-expected decline in sales during the quarter. The technology company also said that it will cut some 6,000 jobs, or about 8 percent of its workforce. Cisco said it expects adjusted earnings for the current quarter to come in between 51 cents and 53 cents per share, versus analysts expectations of 53 cents per share. The company forecast sales for the current quarter to come in between flat and up 1 percent, while Wall Street is expecting fiscal first-quarter revenue to come in flat at $12.08 billion, according to analyst polled by Thompson Reuters. The company posted fiscal fourth-quarter earnings of 55 cents per share, up from 52 cents a share in the year-earlier period, while revenue decreased to $12.36 billion from $12.42 billion. Analysts had expected the company's earnings to rise 1 percent, year over year, to 53 cents a share, while revenue was expected to fall 2 percent, year over year, to $12.14 billion, according to a consensus estimate from Thomson Reuters. The company said revenue from product sales came in at $9.53 billion, topping Street expectations for $9.34 billion. Cisco also said it paid a cash dividend of 19 cents per share and repurchased approximately 61 million shares of common stock during the fourth quarter. "We returned a record $13.3 billion to shareholders this fiscal year through share buybacks and dividends," said Frank Calderoni, a Cisco executive vice president. The Chinese information technology market is expected to grow to $111.7 billion this year, up 7.1 percent from a year ago, making it a key area for potential growth for U.S. tech companies such as Cisco. 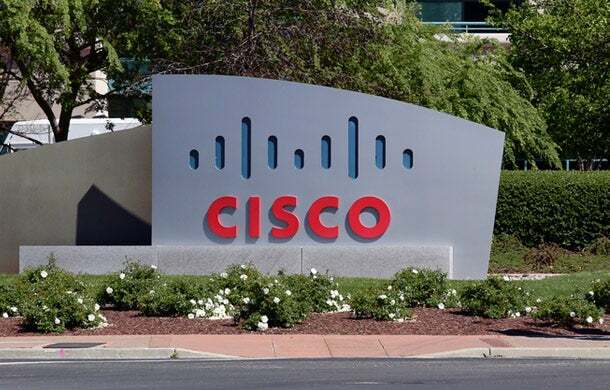 But Cisco has struggled to expand in China as the country has restricted global access to its high-technology hardware market, according to industry analysts. As of Wednesday's close, Cisco shares had gained about 14 percent year to date, having issued better-than-expected revenue and earnings results for the last two fiscal quarters.